We're all looking for creative, yet realistic work from home business ideas. Having a work from home business gives you the flexibility you need your your busy life. It will be a sacrifice in the beginning but many successful business owners started their business on the side while they worked a full time job. Starting a business is no easy task but with hard work and skills, you too can be successful. Before getting started, you need to make organization a top priority. The first step is to find business software that works for you. There are various types of business software out there such as Quicken, Quickbooks or Shoeboxed.com. As always when you're living frugal, free is best. Shoeboxed.com has a fully functional version that is 100% free to keep track of receipts, accounting and tax preparation. Do you have a talent that you can sell? Do you have skills that are marketable? All of us do but we need to reach down on the inside of us to find them. Most of the work from home business ideas listed here require little or no monetary investment. Are you an artsy type with a good eye for color? Maybe you could start a graphic design business. Not everyone is gifted in this area but if you are it could open the door to lots of possibilities such as creating logos, newsletters or images for your clients. Do you have good grammar? Does writing come easy for you? 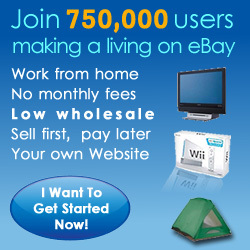 You can find freelance work from home opportunities to earn extra money online. As a freelance writer, your tasks would encompass things such as writing magazine articles, technical writing or blogging. Use your photography skills to take photos and sell their use on stock photo websites. At Deposit Photos.com, you register for an account and take a quick exam. Once you pass the exam, you start uploading your work to the site. You upload as many images as you would like to sell. Once the image passes inspection, it's offered for sale to customers. You get paid each time your work is downloaded. Nice way to generate an online passive income. Do you have musical talent? You can make money by playing at events such as a local fair or a restaurant. Teach lessons in the particular instrument you play. Start your own tutoring business out of your home. You offer help to students in areas you are specialized in such as math or English. Do you have experience in gardening? Lots of people don't have the knowledge to garden and they could use your expertise to setup up a garden and learn to grow food or flowers. Do you know how to sew, crochet or wood work? You can teach others or you can make crafts to sell to others. There are many people too busy to run their own errands. You can provide your services to pick up dry cleaning, go grocery shopping or pickup their prescriptions. You could even become a virtual assistant to a busy person looking for help. Get paid to take care of other people's animals. You would do everything from pet sitting to walking and grooming pets while their owners are away. Provide services such as trimming bushes, landscaping, fertilizing or installing sprinkler systems for your clients. Everyone is busy and it would be nice for someone to deliver a hot home cooked meal. You could market to the elderly, single parents or families that lack the time to prepare meals for their family. Do you like writing? Start your own website and monetize it. It's quite a bit of work up front but once you get good content built, it will start generating online income on its own. You'll still need to maintain it, but it will require less work than what you have already put in it. With an affiliate marketing program, otherwise referred to an online affiliate program, you market items for others. When you sell an item, you earn a percentage from the sale. It's a great idea if you've started your own website.